WHAT'S HAPPENING AT NORTH CACHE MIDDLE SCHOOL? Registration time that is. Click photo to view the registration forms, including dual language for the 2019-20 school year. Incoming 7th Grade- Get your immunizations now and let us know so we can update your student's records. It will save you time later! Want to know what a Hope Squad is? College can seem like it’s a long way in your future, but there are things you can do now to prepare for applying for college! Join your student here at North Cache for lunch on the 1st Wednesday of each month. WHAT'S HAPPENING AROUND THE DISTRICT? Board member Allen Grunig, who worked as an educator for thirty-two years before serving twelve in his current position, has announced his resignation. We express sincere gratitude for all of his contributions to our school district. To fill the vacancy on our board, applications are being accepted. Click on this article for more information. On Friday, April 12th, students, families, teachers, and community members gathered to admire the work and talents of students from schools across the district. For a sampling of the work on display, click on this article. Did you know that each CCSD school holds regular emergency response protocol drills for lockdowns, fires, earthquakes, and evacuations? Click on this article for more information on CCSD emergency protocols and drills. Is your child one who can't get enough of science, math, engineering, art or technology? STEAM offerings and activities in Cache County School District provide a perfect outlet for students to explore their passion. Click here for more information about registering your child for the CCSD Junior Chamber Orchestra. Screenings will be held on Thursday, May 9th, and Friday, May 10th. Click above for more information. The screening will be held on Wednesday, April 10th from 3-7 pm in the Cache County School District Legacy Building (2063 North 1200 East, North Logan). Screenings will address depression, anxiety, suicidal ideation, substance abuse, etc. Parents must be present. Our preschools for the 2019-20 school year are currently full. Click above to place your child's name on our waiting list. Please take some time to consider nominating one of our outstanding classified employees who make our school district such a success. As in past years, we will be accepting nominations in the following categories: Transportation, Custodial/Maintenance, Food Service, Secretarial/Technology, and Para-Professional (Aide, Specialist). Nominations are due to the Human Resources office by March 22, 2019. Click here to access the nomination forms. Kindergarten Registration to be held at all CCSD Elementary Schools on Wednesday, March 13th from 8-3 and on Thursday, March 14th from 1-7. Registration is for children who turn 5 on or before September 1, 2019. Join us for a free parent training on Monday, May 13th. This training will give families information about the different types of guardianship available, and will also teach parents how to fill out the parent portion of guardianship papers, saving a lot of time and money in this process. 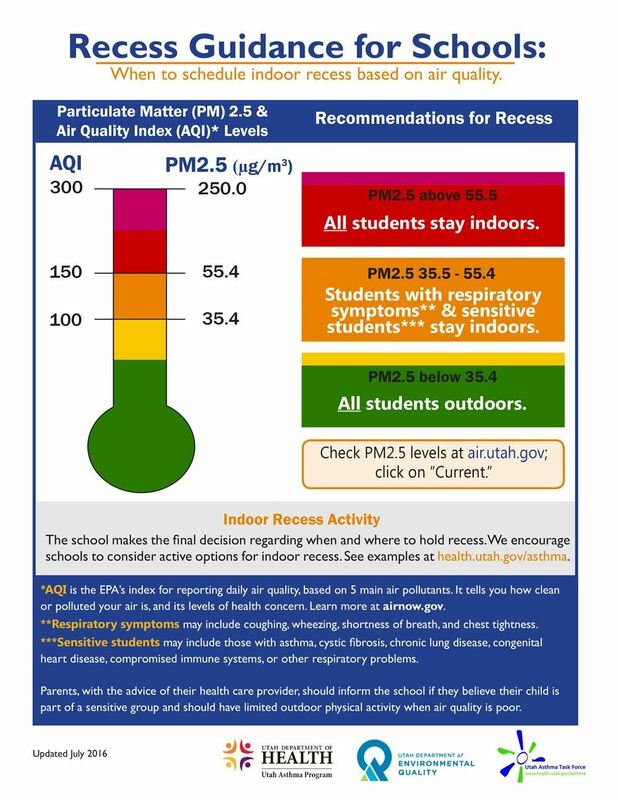 The Utah Department of Health has given guidelines regarding when students should be kept inside for recess due to poor air quality. Click here to see those guidelines. Kelly Services is currently hiring for the 2018-19 school year. Click here for more information. Time Together is a community based education program designed to assist parents in providing an educationally enriched home where children can be prepared to succeed in the educational process.